Whether you need legal protection for yourself, your family or your business, you want aggressive representation that involves you every step of the way. Grand Rapids attorneys Kristin Britt, Pete Armstrong, Steven Williams, Stephanie Tuttle and Scott Noto know firsthand that when dealing with legal matters regarding divorce and child custody, business litigation and asset protection, criminal issues or estate and succession planning — you rarely get a second chance to do things right. Britt Law Group specializes in effectively representing clients needing advice and support for various Business Law, Family Law and Estate Planning issues and knows the importance of doing things right the first time. 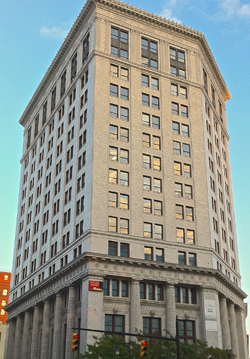 Grand Rapids Attorneys Kristin Britt, Pete Armstrong, Steven Williams, Stephanie Tuttle and Scott Noto bring a wealth of real world experience to the practice, conveniently located in downtown Grand Rapids' McKay Tower. From their combined experience, they have each learned the importance of caring for small businesses and the people who run them. With that vision in mind, Britt Law Group continues to provide competent legal counsel and representation to individuals, families and businesses throughout West Michigan. Britt Law Group serves as in-house counsel for small companies who do not have a legal department — but face the same legal challenges as their larger counterparts — providing protection and security, without the big firm overhead. In addition to small companies, Britt Law Group also provides personal counsel for people who need help in areas such as divorce, parenting issues, estate and succession planning, including wills, estates, trusts and powers of attorney. Individuals looking for attorneys who will diligently protect their best interests need look no further than Britt Law Group.